Hanoi (VNA) - Thailand’s Election Commission (EC) has said that computer software error was part of the cause of inconsistent and delayed vote totals from the country’s general election on March 24. According to the EC’s announcement on March 29, during early reporting of the election results, its tabulation software had trouble handling data entered simultaneously from several points and sometimes displayed incorrect numbers. 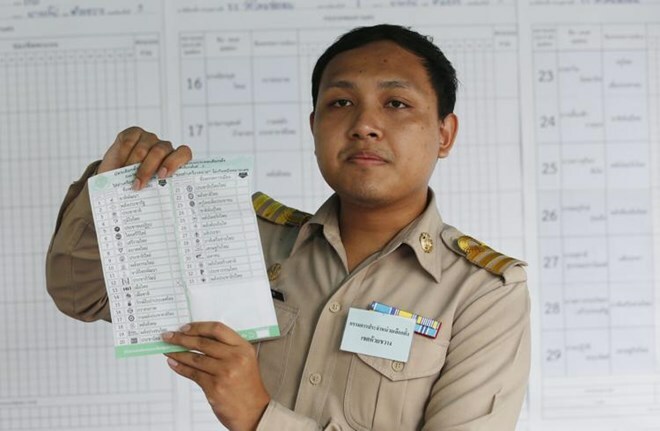 According to the EC, the Palang Pracha Rath party, which backs the incumbent Thai Prime Minister Prayut Chan-o-cha, won the largest number of votes with 8.43 million, followed by the main opposition – the Pheu Thai party with 7.92 million votes. The Future Forward party earned 6.26 million votes, while the Democrats and the Bhumjaithai Party (BJT) gained 3.94 million and 3.73 million votes, respectively. Voter turnout stood at 74.69 percent with 5.57 percent of invalid votes, similar to the 2011 election. The votes are used to calculate the number of seats in the House of Representatives of each party. Palang Pracha Rath has obtained 97 seats, while the Pheu Thai won 138. Previous results announced by the EC were based on 95 percent of counted votes. However, the results will not be approved until May 9 as relevant agencies need time to handle official complaints, of which there are 186 thus far, said the EC.